NOTE: Ontario Power Generation (OPG) Human Resources & Legal Department refused two separate requests to participate in this project citing among other things "privacy issues"
"WE WILL MOVE HEAVEN AND EARTH TO GET THE CHIPPAWA CREEK POWER CANAL COMPLETED QUICKLY"
In 1913, the Ontario Hydro Electric Power Commission (HEPC) realized that the present available power supply in the Niagara District would be exhausted before 1920, The commission requested the Ontario Government to allow it to proceed with construction of a large hydro electric power generating plant at Queenston. The legislation necessary in order that this work might be undertaken was not obtained until 1917. There was a great demand for additional power since power generation for the manufacture of munitions for World War I had nearly used up all of the available power at that time. 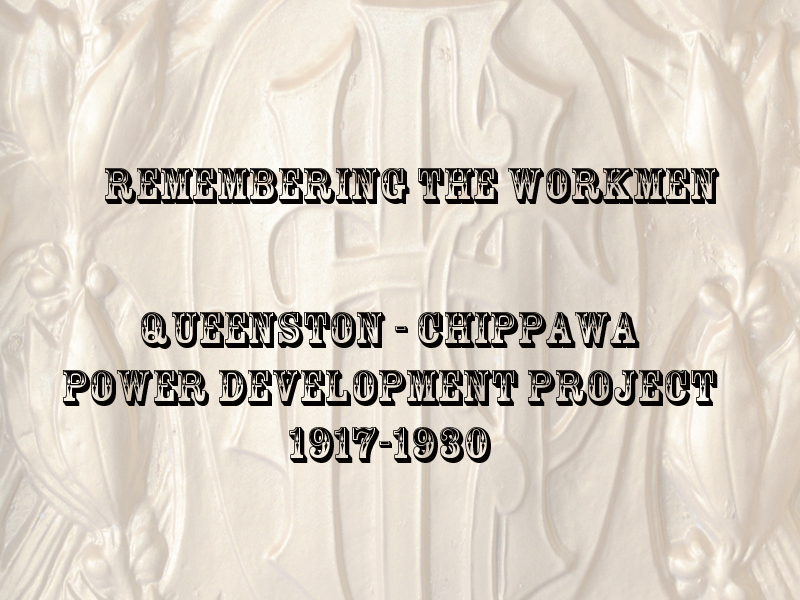 In May 1917, actual construction work on the Queenston-Chippawa development was commenced. It included the building a feeder canal and a power generation station. During this project, at it's peak eight thousand workers were employed. Construction came at an enormous price both monetarily and in the lives of the workers killed on the job. In 13 years 90 employees of the HEPC and their sub-contractors lost their lives. In the first three and a half years - 75 men died. The project was completed in 1930 when the last generator began operation. Actual construction work has already been commenced on the Chippawa-Queenston Power Canal, but the real work on the canal would not be in operation for some time to come. Some 25 or 30 men are now at work at the Whirlpool cutting up timber etc. It will be necessary to continue a railroad along the route of the canal to move material, the same as was done on the Welland Ship Canal. This railroad will be double tracked and work on the building of it will be rushed along at once. The heavy equipment for canal building will not be assembled ready for work until the Fall, it is thought, but when it is once going the construction work in the canal will proceed without interruption all through winter and summer. It is estimated that will take about three years to build canal but about 1/3 of that time will be used up in preliminary work and getting things ready. Everything will be run by electricity even to the steam plows; huge auto costing $8000 apiece are now being used to carry away excavations. Though greatly handicapped by not being able to get nearly all the men he requires Chief Engineer Goodwin in charge of the Chippawa-Queenston Hydro Power Canal building is pushing operations along in good shape. He has nearly 200 men employed and the canal yards at the Whirlpool present a very animated appearance. Train loads of ties for railway buildings have been brought in together with other timbers and the place resembles a mammoth lumberyard. Work on the railway has been started and will be rushed forward though it is hardly likely the road which is to be double tracked will be finished this year. The railway will be used for carrying away the ground excavated the same as on the Welland Ship Canal. Unlike the Ship Canal, however, these trains will be driven by electric locomotives. Every device of modern times will be tried with a view towards hurrying the work of constructing the canal. It is believed however that it will take five years to finish the job. Several immense auto trucks are now being used to carry away excavations for the railway building. They cost $8,000 each but the manner in which they clear away the ground brought up by the steam shovels indicates that they are a good investment. Even the "steam" shovels are worked by electricity and this is probably the first great public work where in so much electric energy was used. There will be no stoppage of the work on the canal this winter unless the weather becomes more than ordinarily severe and before many weeks engineer Goodwin expects to have many more men on the job. It is suggested that the men in prisons and prison farms might be utilized to relieve the labour shortage due to so many Italians, natural railway workers, being away to war. German prisoners could be brought here from England and France, too, which would only be what the Germans are doing with Allied prisoners. The Hydro Electric Commission was successful yesterday before the Dominion Railway Board in Toronto in obtaining an order from the Board to execute their agreements with the Niagara, St. Catharines and Toronto Railway, Grand Trunk and Michigan Central Railways, permitting the construction of the power development canal and the construction railway. The Hydro claimed it was being held up on a mere technicality but now the commission can proceed with the work. Excellent progress is now being made on the Chippawa Hydro Electric Power Canal and the preliminary work has got well underway under the charge of the engineers. The construction railway which will carry away the material excavated has been completed from the Whirlpool to the powerhouse and the rest of the line is being pushed forward. The Hydro engineers were handicapped by shortage of labour but now about 350 men are employed on the works and unless the weather gets too severe this gang is expected to stick. The engineers have got rid of all the Chinamen who did not seem to make good on the heavy work. At the present time operations are being centred on the erection of a concrete bridge for the Niagara, St. Catharines and Toronto Railway tracks at Stanford. This is only one of about 30 bridges which will have to be built. The numerous bridges necessary will prolong the work of constructing the Power Canal. The engineers are filling in a great many ravines which are around the Niagara River with the earth taken out in excavating for the canal. When the canal is finished the face of the country along its course will be very materially altered. Austrian Was injured yesterday afternoon while unloading a dump car of sand when he was bending over behind a loaded dump railcar after orders had been given for him to move back. As the dump car was being emptied, the victim received a crashing blow to his head causing a fractured skull. He was taken to hospital but died this morning. buried Catham Ont. Carpenter hydro - collapse of defective trestle while walking upon it on the Mewburn Farm known as the hydro dump where ground is being filled in forty feet. Trestles are build to carry dump trains including 110 ton engines. died of skull fracture. Had been off ill and just returned to work that day. 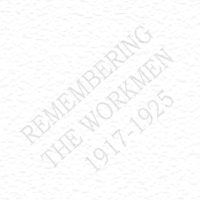 Secretary Pay of the Trades and Labour Council is making a strong plea for the labourers-union men, about 1,100 of whom employed on the Hydro and Welland Ship Canals. Canadian - 76 Bridge St.
Construction foreman - Died at Memorial Hospital NF NY. Hydro man run over by work train on January 10th near section 4. Both legs crushed - one leg amputated. Was walking on the tracks at Stamford. Had brother Robert who was working for hydro two years ago when he too was run over by train and lost a leg in the same place. Gordon took Robert’s place on the hydro. The strike on the Chippawa-Queenston Power Canal was called by the union over pay and hours of work issues. Workers are satisfied with new proposed 10 hour work schedule but wanted time and a half for the last two hours of there shift. The works has 1,800 employed on the project. Fifty percent of the workers are foreigners and sixty-seventy percent of this work force are unskilled labourers. The strike on the Chippawa-Queenston Power Canal was called off last night by the Union. Workmen will now be following a 10 hour work schedule. Engineers and some other specialty trades will soon work three 8 hour shifts on a rotating basis. Vote carried by narrow margin. Bulgarian HEPC labourer - fell under and run over by loaded hydro train on Sunday. One hand completely severed and the other was hanging off. His legs and shoulders were fractured. buried alive under load of dirt from dump car. Car was malfunctioning and wouldn't dump it's load when workman went to side of the dump to fix it when load dumped. Hydro Canal At Full Blast All Winter - ...the commission decided to maintain the full work force of 3,600 men. Sir Adam Beck left orders to give all workers possible employment with one stipulation that returning soldiers and married men with families should have first consideration in manning the staff. buried Mount Pleasant Cemetery, Toronto Ont. lived at camp 219 was a returned soldier - run over by train - was deaf- working behind hydro offices on Stanley Ave Stamford – was walking on tracks & didn’t hear hydro train. Was struck and cut in two pieces. Young was labourer on repair gang - Young was burned to a crisp. His body was recovered an hour after accident. Railcar had landed on Young's body. April 1st 1921 Russell James FRAZER?? single Crushed by rock fall into canal cut where he was working. Came to Canada four months ago. Died last night as a result of a small "spring shot" rock blast. He took cover 400 feet away under shelter with another worker. The blast propelled a rock that pierced his cover striking him dead and breaking the arm of the other workman. E. CLOUTIER??? was at work near Queenston Power House when in a fit of bravado grabbed hold of an insulated wire and completed the circuit either by standing on a wet floor or touching another wire. He received 6,000 volts and killed instantly and badly burned. He was not an electrician. Co-worker received severe shock was taken to Hydro Hospital in a precarious condition. Baker had been employed on the hydro for about 6 months - Sgt Major of the Royal Garrison Artillery, Imperial Army. Was first internment in the veterans plot set aside by the city for that purpose. 1,300 workmen released last week from project nearing completion. Night shift is being eliminated releasing another 3,000-3,500 men (nearly half of the workforce). Special consideration being given to family men and former soldiers. DC Rock Driller HEPC - electrocuted at 4 pm in the afternoon when he accidentally touch a high voltage line while working on the hydro canal. buried in Toronto Killed last night when buried under a load of a dump car. He had a fractured skull, broken leg and internal injuries. Louis Miller, 43 years was badly hurt at the same time when he was trapped by the engine which turned over at the same time the car capsized. buried Trinity Church Cemetery Chippawa Ont. buried - Tweed Ont. Rigger HEPC - fracture of base of skull as a result of being crushed between a submarine drill and a boom of Bay City train #8 on the hydro canal site. obit Pipefitter HEPC - at 5:30 pm had gone into the blacksmith shop near Lundy's Lane to put his tools away. Other employees in the cutting were blasting and a piece of pipe is said to have come through the roof of the building striking him in the head. He died at Memorial Hospital Niagara Falls, NY several hours later of surgical shock. married with 3 small children Pipe fitter -killed last night when he went into blacksmith shop at 5:30 pm where Lundy’s lane cut is located to put his tools away for the day. Blasting in the area sent a piece of pipe through the roof from the outside striking him on the head. Taken to Memorial Hospital NF NY where he died. buried Hamilton Ont. Lineman HEPC – died of fractured skull as a result of fall from pole at St. David’s Thursday evening. Lived at 206 forest Avenue, Hamilton Ont. Fireman Construction Boom - Died after being scalded to death while working on a suction dredge near Montrose. While in the process of firing one of the water tubes, the steam tube blew out covering him in boiling water from head to foot. He was taken to the hospital where he died last night. obit Dredgeman - Drowning in the hydro canal at 5:30 pm last night when he slipped on a frozen platform and fell through the side rail of the swinging bridge where the hydro canal meets the Welland River at Fraser Station. He was following a fellow worker who had successfully crossed when he slipped and fell into the water. The water was dredged but his body was not recovered. On May 2nd 1923 the body was recovered from the hydro canal just south of Lundy's Lane . One end of the clothes line was connected to a pole that carried 2,200 volt transformer which was fenced off with chicken netting. The clothesline was only 15 feet long and the end was lying on the ground. The ground was electrified. The victims face was almost entirely burned away with his legs, abdomen and feet burned to cinders. The skeleton of a burned cat was also found. Stansfield had been employed for only one week. Had come to Canada three months ago from England. 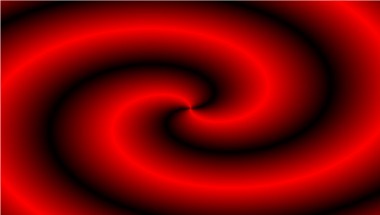 Scalar - was beginning work and was going down the cliff on a rope. Was working on a narrow ledge of rock on the face of the cliff when the ledge broke off. He was instantly killed at Queenston after falling 120 feet down the side of the cliff. The rope was found in good condition. HEPC - was killed instantly when he touched a live wire carrying 120,000 volts at the Queenston Power House in Queenston while working on the gallery. He had thought the lines were dead when he was about to make repairs. He touched a knife switch and was electrocuted and wfell twenty feet to the ground badly burned on his hands and shoulder.